A 180° fisheye lens that is attached with a magnetic ring. The Original is easy to carry with you and it suits most smartphones on the market such as iPhones, Nokia Lumias and most Android smartphones. 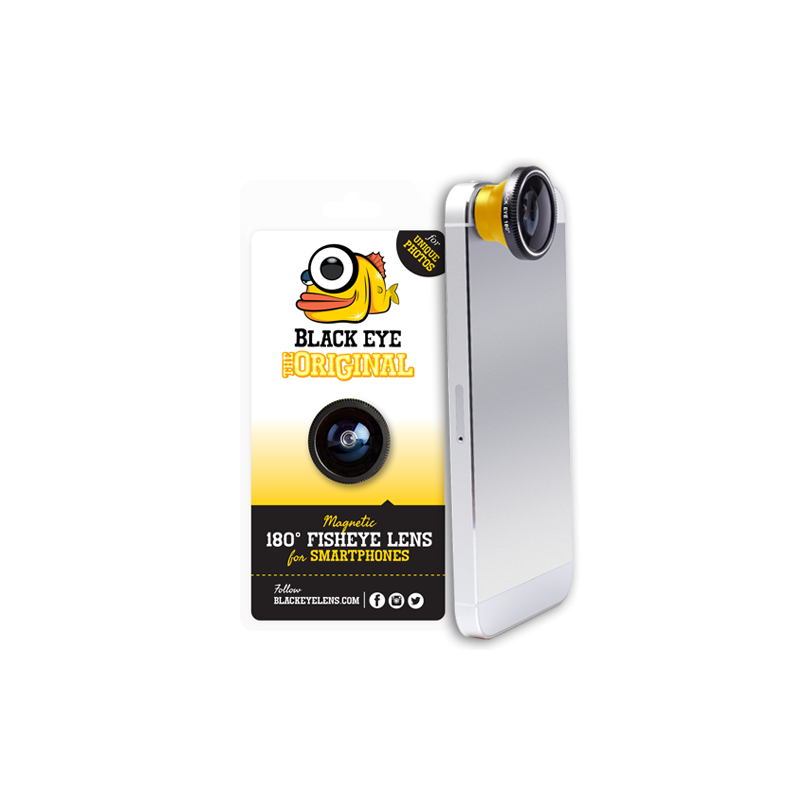 Black Eye – 180° Fisheye lens, Lens cap, Keychain strap, Magnetic ring x2 and Microfiber bag. Compatible with most smartphones on the market.